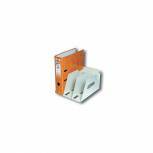 Q-Connect Lever Arch Spine Labels White (Pack of 10) KF02217 Pack of 1 Q-Connect Spine Labels. Self adhesive replacement labels for use on lever arch files and box files. (Lever Arch File is shown for illustration only). 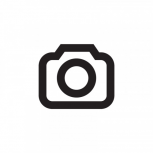 Durable Black Ordofix File Spine Label (Pack of 10) 8090/01 Pack of 1 Durable Ordofix Spine Labels. Strong PVC, self-adhesive inserts designed to fit both A4 and Foolscap lever arch files. Allows colour coding of existing systems and renovation of old files. Clear window pocket and inserts for labelling. Colour - Black. 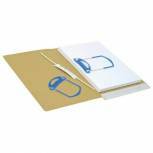 Durable Blue Ordofix File Spine Label (Pack of 10) 8090/06 Pack of 1 Durable Ordofix Spine Labels. Strong PVC, self-adhesive inserts designed to fit both A4 and Foolscap lever arch files. Allows colour coding of existing systems and renovation of old files. Clear window pocket and inserts for labelling. Colour - Blue. 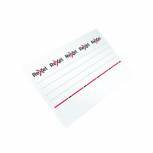 Leitz Self Adhesive Spine Labels (Pack of 10) 16420085 Pack of 1 Leitz insertable spine labels, cardboard labels are available for inserting into plastic pockets on plastic lever arch files. Pack 10. 3L Self-Adhesive Paper Reinforcement Ring (Pack of 1000) 10415 Pack of 1 Pack of 1,000 reinforcement rings for punched documents. Repairs torn paper. Permanent adhesive for secure bond. Tear-resistant paper. Diameter: 14 mm. Colour: White. 3L Extra Strong Vinyl Reinforcement Ring (Pack of 1000) 8215-1000 Pack of 1 Pack of 1,000 reinforcement rings for punched documents. Repairs torn paper. Permanent adhesive for secure bond. Extra strong tear-resistant vinyl. Diameter: 14 mm. Colour: White. 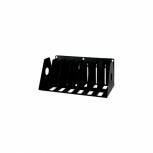 Rotadex Black 7 Section A4 Ring Binder Filing Unit A4R/7 Pack of 1 Rotadex A4/ring binder Filing Rack. Seven section metal rack with fixed dividing plates keep files upright, back plate prevents contents from being pushed through. 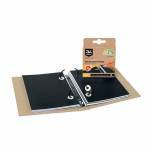 Ideal for ring binders, telephone books, manuals etc. Colour - Black. 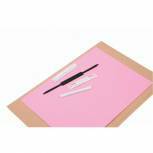 Durable Ordofix Lever Arch File Spine Labels Assorted (Pack of 10) 8090/00 Pack of 10 Durable Ordofix Spine Labels. Strong PVC, self-adhesive inserts designed to fit both A4 and foolscap lever arch files. Allows colour coding of existing systems and renovation of old files. Clear window pocket and inserts for labelling. Assorted colours. 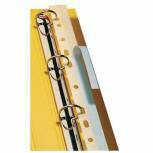 Rotadex Smoke White 3 Section A4 Lever Arch Filing Unit LAR3 Pack of 1 Rigid and durable rack for housing lever arch files, directories, ring binders etc. Manufactured from Grey powder coated steel. Fixed dividing plates have rounded corners. Available in 3 lever arch capacities. 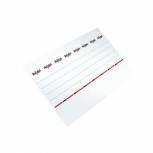 Pelltech Self-Adhesive File Strips 295mm (Pack of 100) PLD25120 Pack of 1 Save and file all your documents and catalogues without punching. 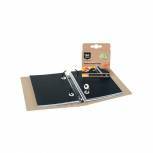 These easy to apply adhesive strips are compatible with most leaf binding systems. 295mm - A4. Pack 100.